Over at Health in the Global Village, Leigh Turner yesterday published an excellent piece updating us all on the latest news on Korean stem cell company RNL BIo (알앤엘바이오) and its leader, Dr. Jeong Chan Ra (라정찬 ). Addition: The story was reported in several Korean news outlets including Hani here. A video here by MBC News of Korea, one of the top 4 News outlets in Korea, also reports on the case. Of course Ra is not guilty of any of this unless proven so in court, but this sure isn’t good news. Turner provides all the details on the reported arrest of Dr. Ra as well as the key background on RNL Bio and Ra that has led up to this situation. Could this be the beginning of the end for RNL Bio? I think the coming weeks or months will be crucial either way. Turner’s piece details the numerous troubles facing Ra and RNL Bio related to a patient lawsuit and accusations of fraud, delisting from the Korean stock market, dueling lawsuits with former US partner Celltex, the deaths of some patients, and now the reported arrest of Ra for alleged insider trading. Ra is also accused of sexual harassment. Ra’s arrest has been in the Korean news the last week, but to my knowledge Turner’s is the first English language piece providing coverage on this very important development. I hope that if other web news outlets subsequently go forward with the story that they credit Turner for breaking it, but I wouldn’t bet on that happening. From a broader perspective what does all this mean? Could this ultimately sink RNL Bio? While I wouldn’t count the company out quite yet, it is difficult to see exactly how Ra and the company might manage to bounce back. One also has to wonder about the reverberations for Celltex here in the US. To my knowledge the subsidiary of RNL Bio, Human Biostar Inc., still has control over most or all of the Celltex patient stem cell samples stored in liquid nitrogen in separate facility in Texas. Are those now in jeopardy? Or might these events lead to their being more expeditiously turned over to Celltex if RNL is sinking? The situation overall seems highly unstable. From a larger view, I believe that the RNL Bio situation will lead to greater scrutiny of transport of human stem cells across international borders as well as of the conduct of companies doing stem cell business in multiple countries and marketing to foreign customers by regulatory and legal authorities. Do you have a link to the actual article in the Korean press or any other media outlet other than someone’s blog about his arrest? 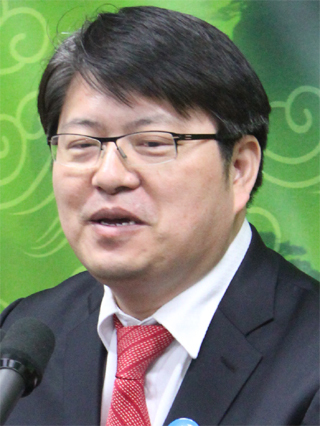 I can not find any published material regarding the arrest of Dr. Jeong Chan Ra. Do you have access to facts not readily shared by international news outlets and unconcerned with potential libel or slander charges?